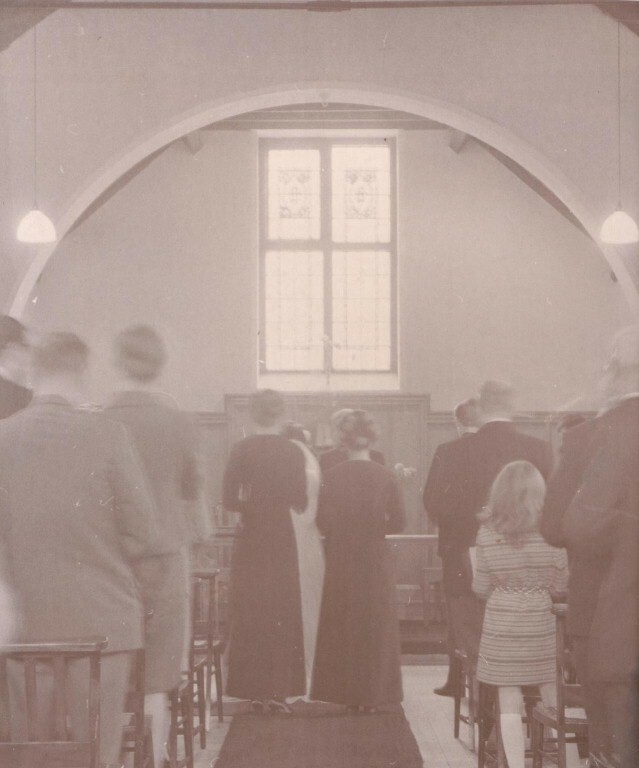 Undated picture of chapel but assumed to be late the chapels life (before 1913). Picture shows what looks like service announcements outside. Situated in Birmingham Road and still extant as a private house. Deeds for the sale of the land to build the Chapel on are dated 10th June 1820 and stipulated that there should always be fifteen trustees. Interestingly these were not all local village people, as they came from as far as Nechells, Aston and Sutton as well as neighboring Shustoke and Coleshill. When they first bought the chapel the present owner recalls still having to pay a yearly peppercorn rent to the Methodist church. 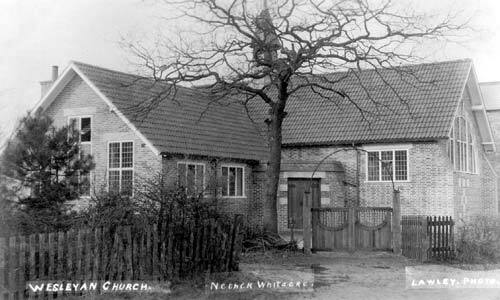 Lawley Postcard of new Wesleyan Church circa 1920. Supect this photograph is taken very soon after opening as the stone work around the door is very clean and new. Another early undated photo but taken probably very early post world war one. 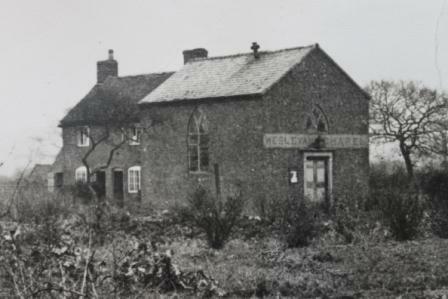 The current building in Station Road was completed just before the start of World War one. Foundation stones in the East wall nearest the road are dated 4th October 1913. Deeds for the previous Birmingham Road chapel state that this was the old chapel on a deed dated 18th December 1914. 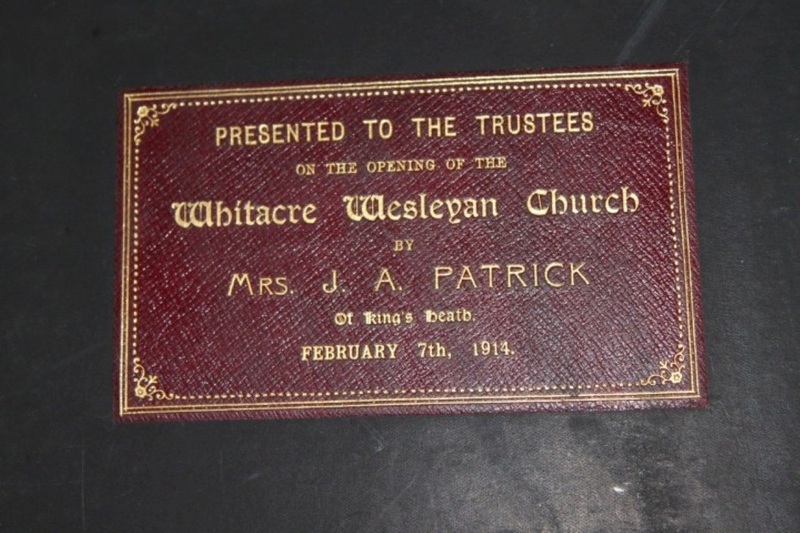 The new chapel was opened on 7th February 1914 and is commemorated by the big church bible which is still present in the church. 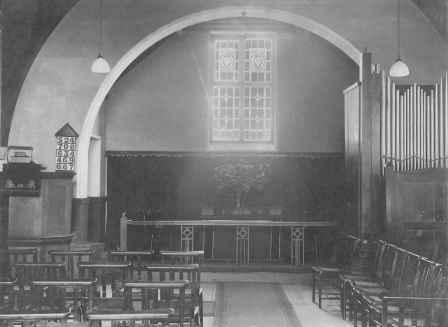 Interior view of an unknown date, showing little change to the present day in the fabric of the church. The organ has been moved 90 degrees and the light fittings changed. Some of the chairs shown here are still in use in the adjacent school room. Could it be that the vase on the altar is the 1928 dated one for Whitacre Wesleyan Chapel; still in use today? By the early nineties much of the original church fabric was approaching the end of its life cycle. Window and the roof replacement were rapidly becoming the most urgent. The roof was replaced circa 1991 and this removed the central small ventilation shaft that used to previously grace the main church and gave the church a more clean look shown here. Next a new heating system then windows were replaced and were upgraded to double glazed units. The original patterns were replicated in the new glass work.